If you’re anything like me just looking back at your middle school yearbooks will take you back to a time when Kill Hannah, Chiodos and Hawthorne Heights ruled your iPod and Myspace page, and listening to emo music and dressing the part wasn’t just a phase, mom. As time goes on, we grow up and outgrow different musical tastes, but every so often, a band or artist will come around and reignite your interests you once long forgot. Soft Cyanide is the band that is now showing me that post-emo music is alive and well, and just like any other genre, it can continue to grow and get better with age. 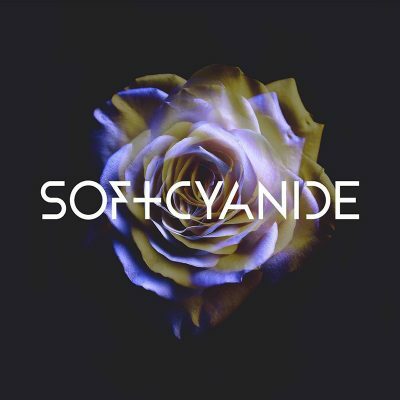 Soft Cyanide’s self-titled debut album packs a lot of technical guitar, complementing synths and haunting vocals into just a six-track album (one of which is a forty-second intro track with no vocals). The production value of this album is some of the best I’ve heard all year, and the tracks seem to flow in a way that is disruptive, each track following the same mood and pace. For longer albums, that may seem a bit repetitive, but Soft Cyanide makes that work to their advantage to keep the album from seeming too sporadic or unpredictable. Tracks like “Heart Out” and “Alive” both start with synth and percussion beats reminiscent of the sound of InnerPartySystem, who Devin Barrus of Soft Cyanide cites as an influence. Other tracks on the album, like “Younger,” start with very technical and melodic guitar and bass riffs, accompanied by crashing drums and hauntingly soothing vocals.